"I love getting tangled up in elaborate drafts, but in the end, I am most at peace with a minimalist approach." 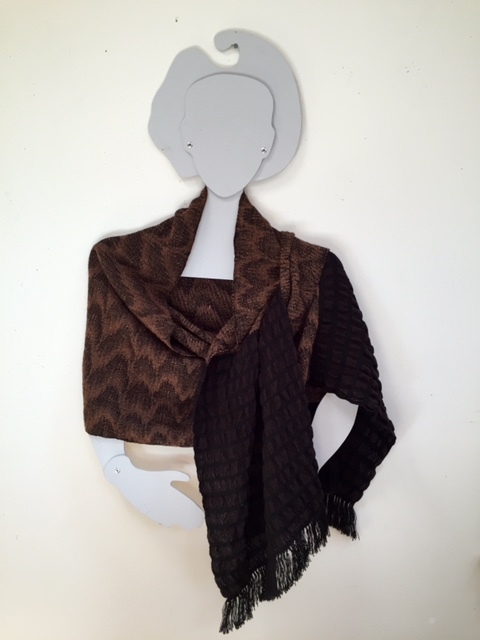 Continuing to explore the structural elements of loom controlled manipulated surfaces, I have turned to fashion. 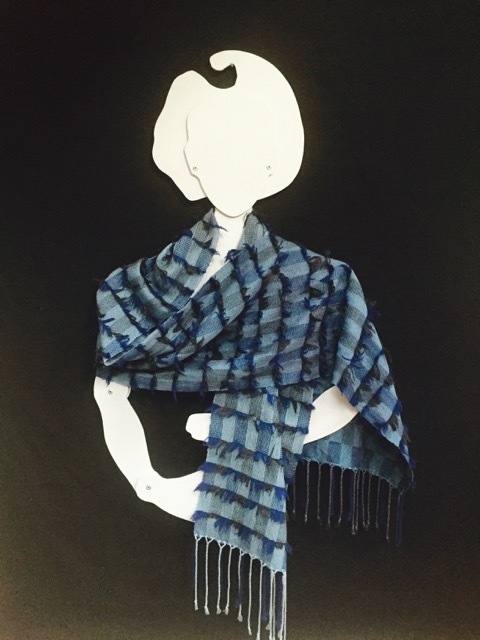 By producing a line of shawls and scarves, these fabrics continue to explore my sculptural ideas in textiles that are fashion conscious. The ideas that began as sculptural relief for the wall have become adornment for the body. 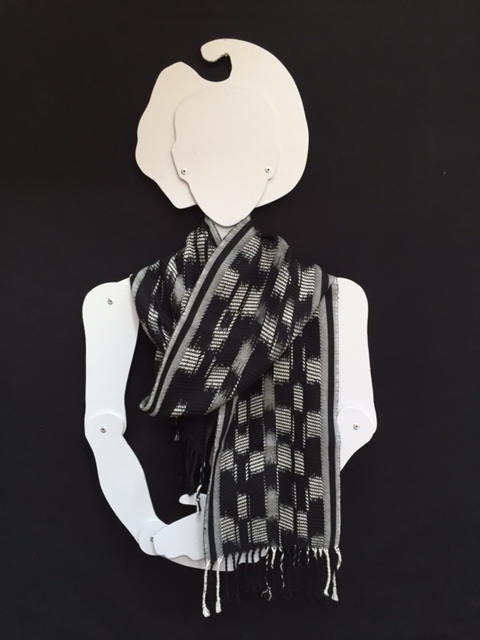 Each scarf and shawl is a unique woven fabric. By the nature of the process they are one of a kind or limited editions. My method of working incorporates several different techniques. The warps can be painted with dyes before they are put on the loom or combined with ikat or woven shibori to create pattern over pattern. 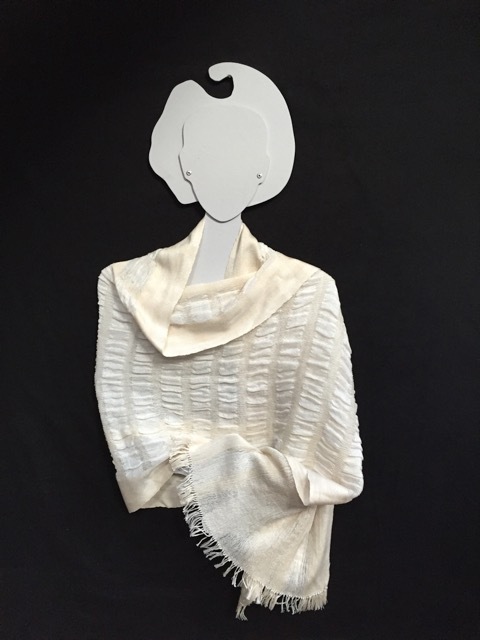 In the shawls I produce textural pleats by using a variety of fibers that shrink differently. Some pieces are woven from a diversity of yarns, but all are natural fibers. Janice Sullivan graduated with a BA in Textiles from Boston University and Massachusetts College of Art with a Masters in Art Education. 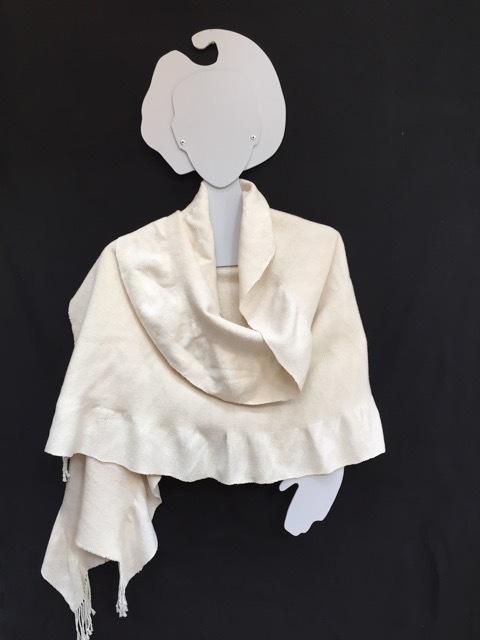 She lived in San Francisco from 1982 - 2005, teaching classes in Weaving and Surface Design and exhibiting her work both locally and nationally. She has taught at City College of San Francisco since 1995, as well San Francisco State University and College of the Redwoods in Fort Bragg, CA. In her thirty five year study of loom manipulated, multi-tensioned double weave, she has pioneered a new approach to sculptural textiles. Her wall pieces also incorporate painting, printing, stitching and dyeing techniques. Her wall pieces are represented in many corporate and private collections across the country including several Kaiser-Permanente Medical Centers,Moody’s Investment Services, Quantum Corporation, Summit Medical Center & Southwest Texas Methodist Hospital. 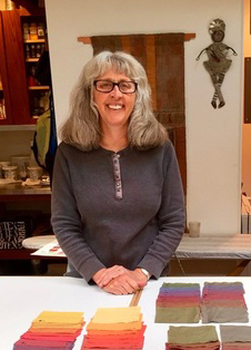 After living in San Francisco for 23 years, Janice Sullivan moved to the Mendocino area in 2005 where she maintains a weaving and dyeing studio and continues to teach.